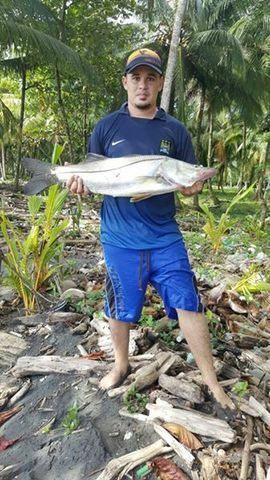 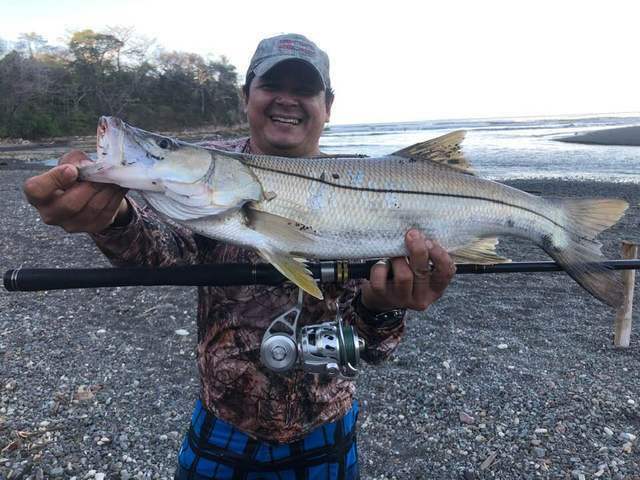 Javier Hernandez aka ‘Rey Robalo’ reeled in this excellent Snook in mid-January. 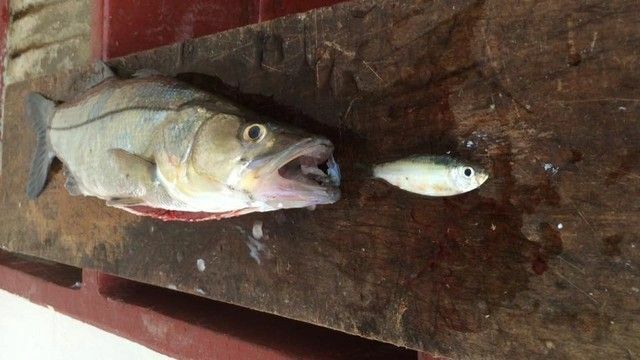 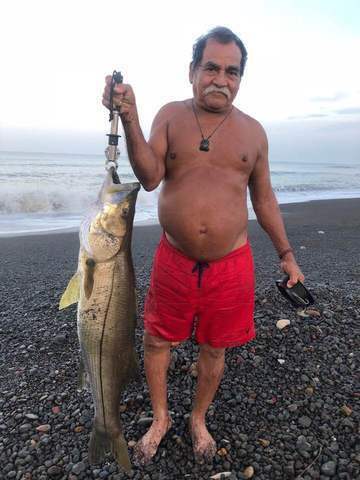 Local angler Pilito Montiel caught this amazing Snook at the Nosara River mouth. 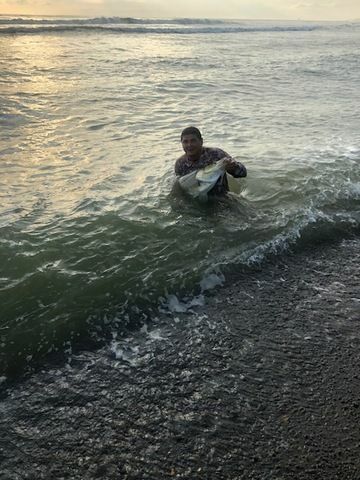 Better still, he caught this monster on an old-school handlining rig. 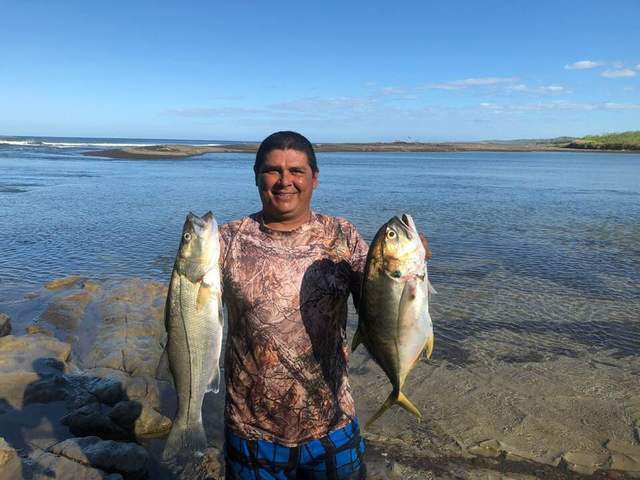 Javier Hernandez aka Rey Robalo continued his reign with these awesome Snook scores on July 23. 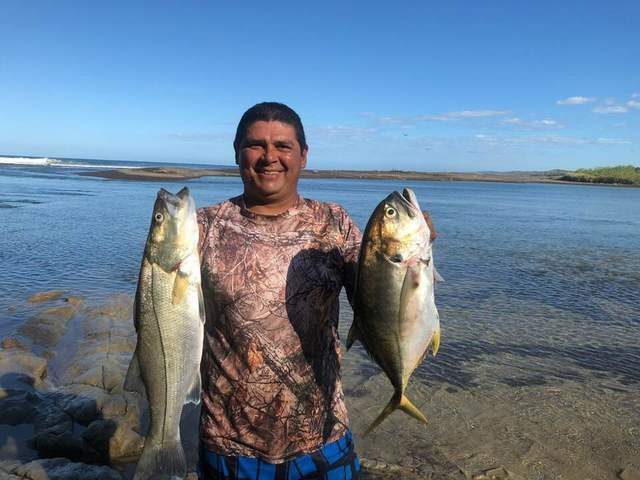 His catches were more than a handful, with this Jack Crevelle (above) backed up with several monster Snooks. 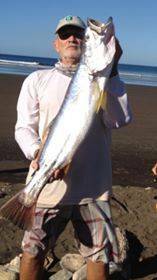 Also local angler Casar Vargas pulled this monster Amberjack from the river mouth in mid-June. 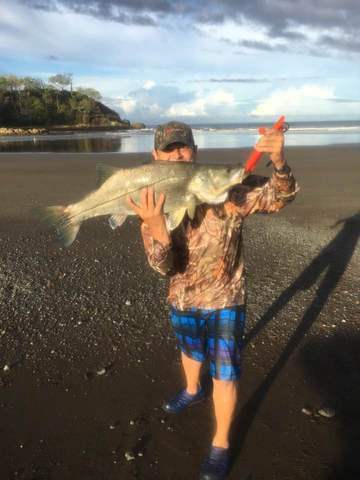 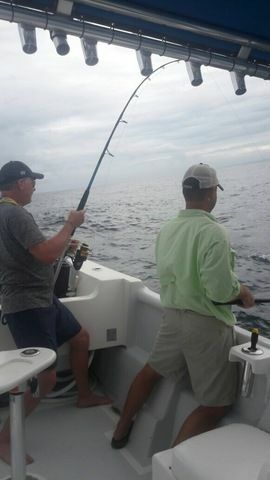 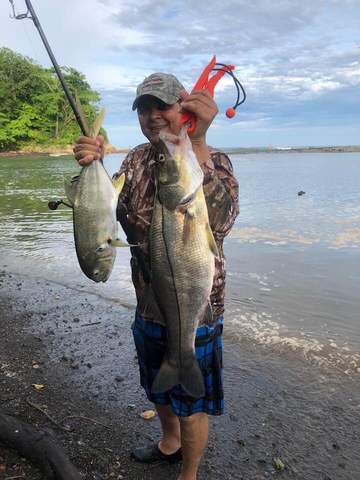 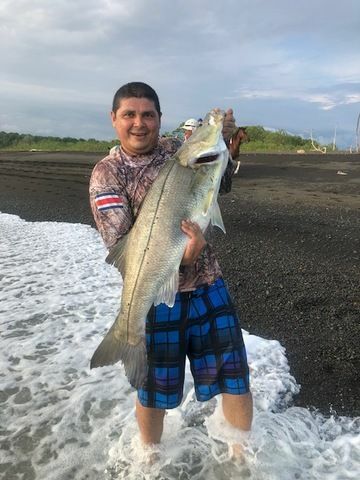 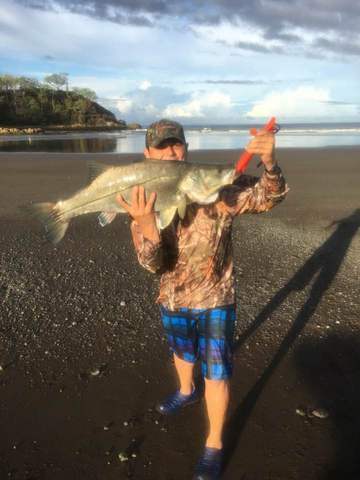 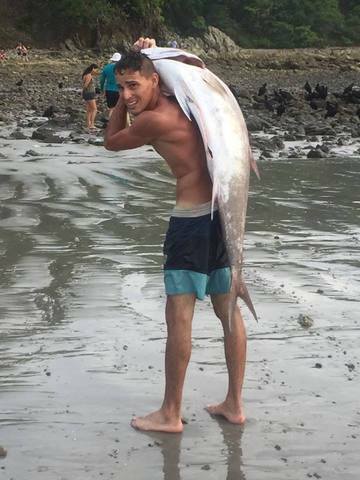 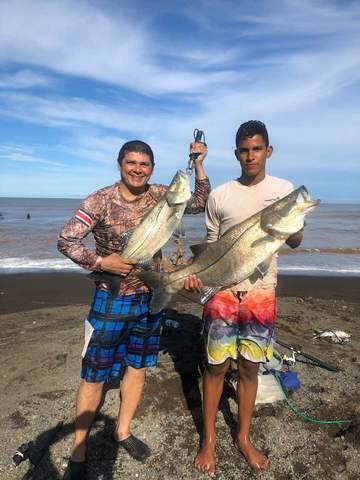 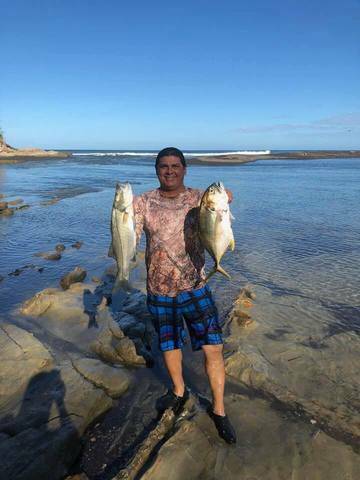 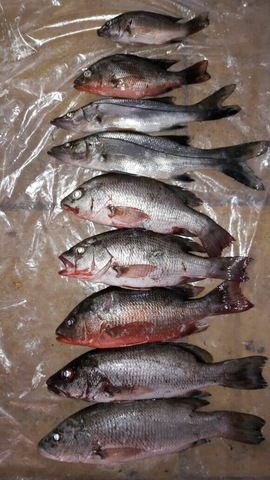 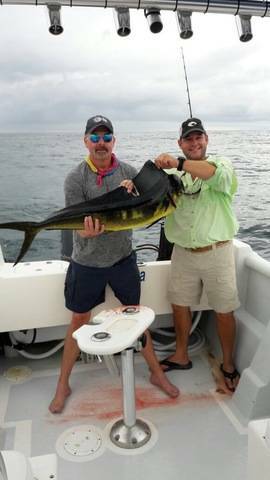 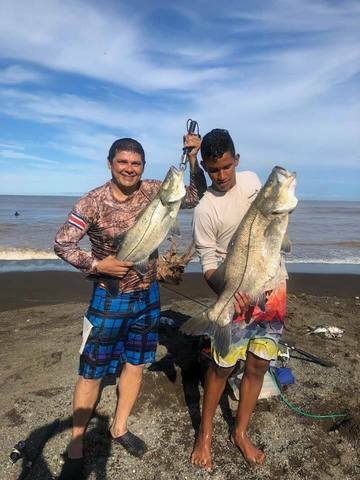 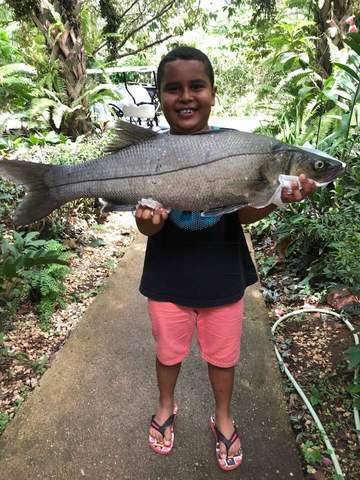 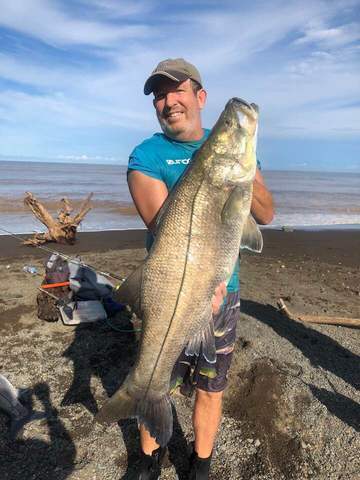 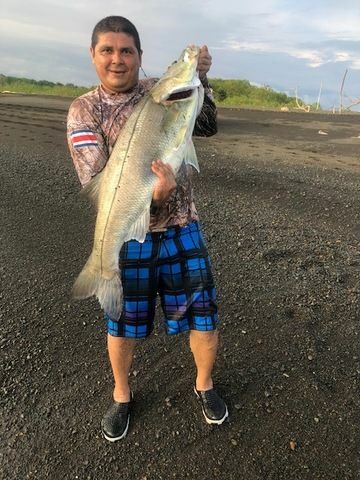 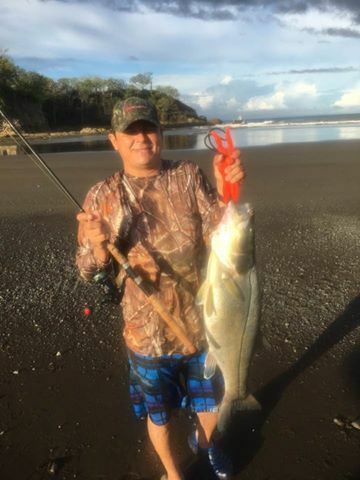 Javier scored again with more great action at the Nosara River Mouth. 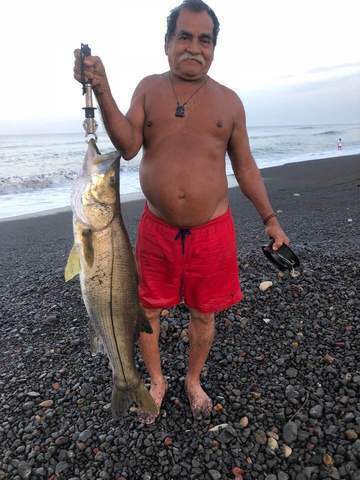 This Snook and Jack score means filets and ceviche, respectively. 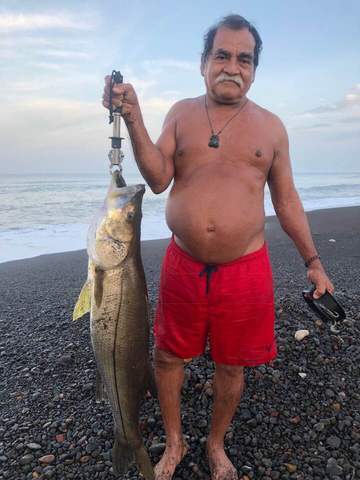 El Jefe Javier Hernandez scored an amazing 15.5kg (35.1 lbs.) 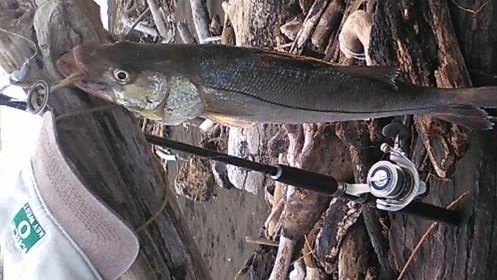 Snook at the Nosara River Mouth on the 16th. 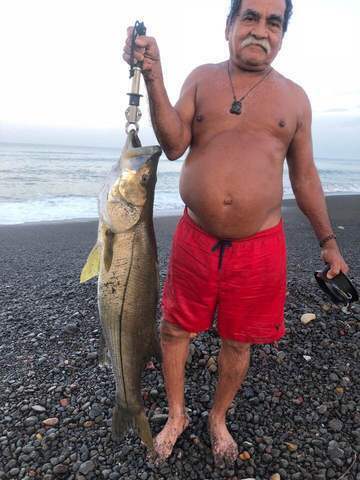 Rey Robalo is a conservationist and as such chose to release this monster alive. 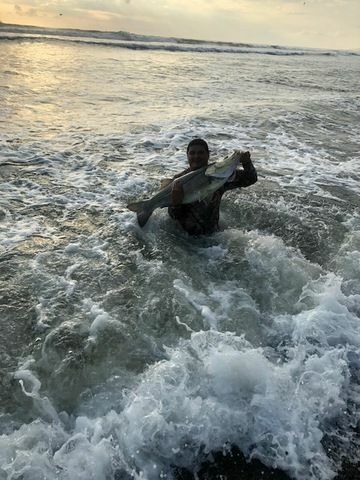 Then Captain Alex parked the Harvester over a nice reef bite which yielded seven Snappers and two small Snook…very unusual to snag Snook this far off of the beach. 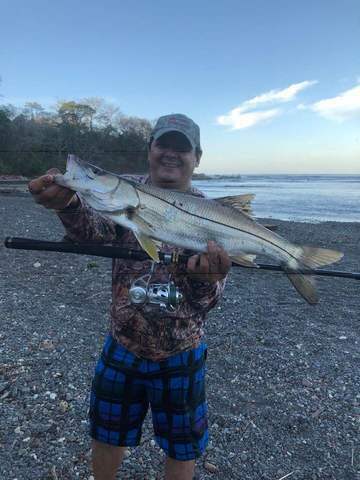 Master of the river mouth, Javier ‘Rey Robalo’ Hernandez scored this incredible Snook in mid-May. 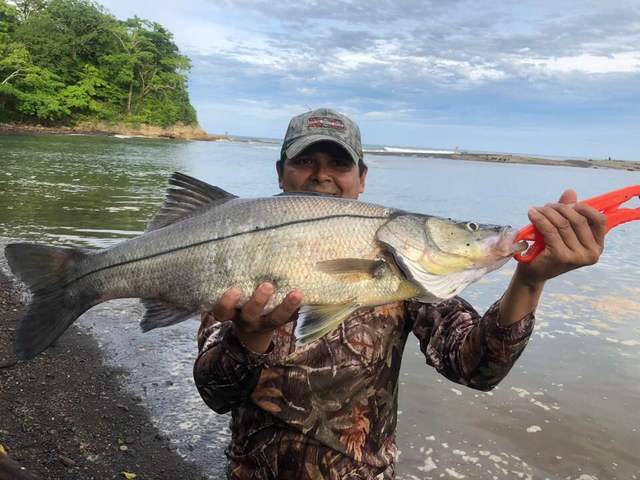 Excellent action this month at the Nosara River Mouth! 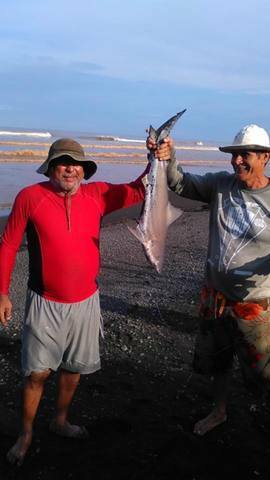 Local Legend Carlos Yaniz led the way with an array of monsters pulled from the surf. 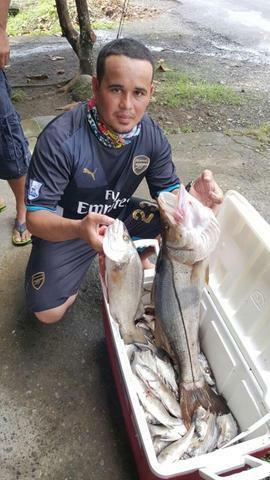 Also newcomer Gerardo Leon showed his stuff…that’s one full cooler of Snook!